Memphis, Tennessee — Project X® EvenFlow™ wood and hybrid shafts are now available to the public through True Temper Performance Fitting Centers. EvenFlow is constructed with a revolutionary “even” bend profile which transfers shaft load more efficiently throughout the swing to create maximum energy release at impact. 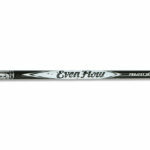 EvenFlow has been one of the leading wood shaft models on the PGA and Web.com Tours since its introduction earlier this year. Project X EvenFlow is available in two models: Black and Blue. 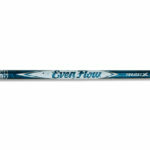 EvenFlow Black is a low-spin, low-launch option while EvenFlow Blue is a mid-spin, mid-launch option. Both models are available in 65, 75 and 85 gram wood shafts and an 85 gram hybrid shaft with an MSRP of $350. Click here to find a True Temper Performance Fitting Center near you. For more information about EvenFlow, follow ProjectXGolf on: Facebook, Twitter and Instagram. The leading manufacturer of golf shafts in the world, True Temper Sports is consistently the number one shaft on all professional tours globally. The company markets a complete line of shafts under the True Temper®, Grafalloy® and Project X® shaft brands, and sells these brands in more than 30 countries throughout the world. True Temper Sports is proudly represented by more than 1,000 individuals in ten facilities located in the United States, Europe, Japan, China and Australia. For more information, visit www.truetemper.com.